Governor Ifeanyi Okowa of Delta State has advocated for the award of contracts to technical colleges in the country to encourage them to do more. The Governor made the call on 16/05/17 at Sapele, during the Commissioning of upgraded facilities at Sapele Technical College, Sapele. 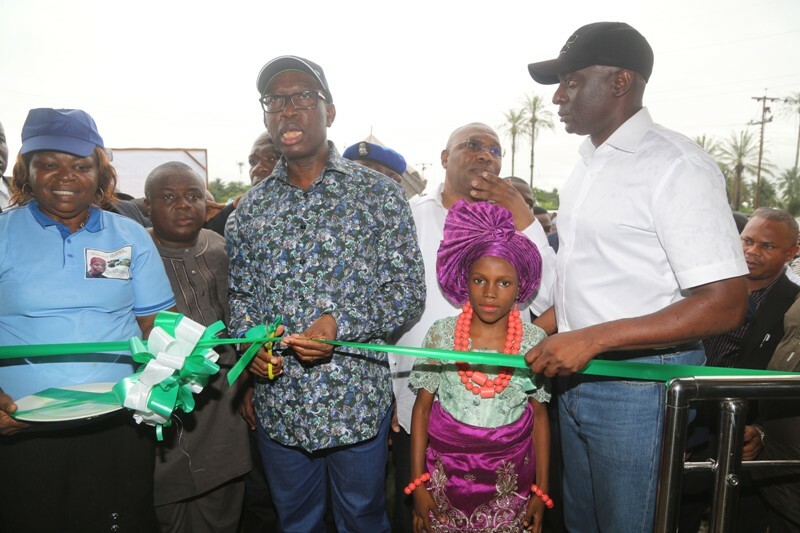 While at Sapele, Governor Okowa also commissioned Ogaga Road and inspected the reconstruction project af Ikoyo Avenue as part of activities lined up to celebrate the second year anniversary of his administration. Other people oriented projects also inspected by the Governor include tomatoes cluster farm at Amukpe and Jesse Access Road Dualisation Project. Buttressing the need to patronize technical colleges, Governor Okowa stated that it was important for Nigerians, especially, the youths to be equipped with technical skills which will save the country from capital flights and also, make the youths to be self employed and become employers of labour. “Contracts are to be awarded to technical colleges, we are going to train and retrain our teachers in the technical colleges, because, our desire is for our children to acquire skills,” the Governor said. The Governor expressed satisfaction that the Technical College has befitting structures, workshops that are well equipped and asphalted roads, noting that the technical colleges in the state are capable of competing with the best in the country. Also, as part of the projects commissioning spree, Governor Okowa, accompanied by his Deputy, Barr. Kingsley Otuaro, the Speaker of the Delta State House of Assembly, Hon. Sheriff Oborevwori, his Deputy, Rt. Hon. Friday Osanebi, the Ovie of Oghara, HRM Oyibo Eshemitan, Orefe III, commissioned the expanded Oghara Junction to Otefe road, and flagged off the construction of Ogwefe/Ugbenu road. Earlier at the Palace of the Ovie of Oghara, Governor Okowa assured the people that his administration would continue to do more in the delivery of democratic dividends and thanked Deltans for their support. The Ovie had commended the developmental stride of Governor Okowa and urged him not to be deterred in meeting with the yearnings of Deltans.